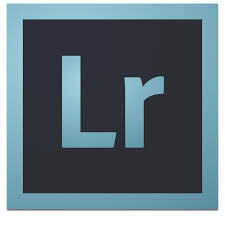 Adobe Lightroom is a comprehensive tool deigned for photographers to manage their digital workflow. The Develop Module is the place to go to get the best out of you digital images and to generate the specific image treatment that you were looking for. This course will investigate all the different tools available in the Develop Module for working with JPEG and RAW image files.Introduction to the Develop Module of Adobe Lightroom in an inactive online session with image manipulation for the digital photographer. The course will briefly run through the panels and functions and take the participant through the process of image development, cropping, correction and local adjustments. We will also look at the use of third party editors and develop settings, exporting and uploading images to online services. • Capture to Print – the 5 minute demo! For those registered a recording of the session will be available for you on the private Bluedog Photography You-Tube. Q. Do I have to have Lightroom downloaded on my computer? A. No, it’s not a prerequisite, however we ask you have a basic understanding of computer editing software and understand all demonstrations will be given in Lightroom. Q. Do I get a recording of the session if I register and then cannot attend? A. Yes you receive a recorded session via our private YouTube channel. Q. I can’t make this one, will another be held? A. Yes if we can run these whenever you want and small groups are catered for.